We get within good viewing distance of the whales without disturbing them. If we are close to a whale we shut down the engines which allows for if the whale is curious and wants to approach us. We will not chase the whales down. Do you always see whales? No, we do not always see whales. We do always make an effort to try and find whales each adventure. Sadly they run on their own schedules and don’t give us any notice if they are in the area. If whales are in the area we will definitely make an effort to go and view them. When is the best time to view a whale? Whale sightings can be very unpredictable. The most frequent time to sight a whale occurs in mid-end July and early August. Sightings can range from June to August though. When do your tours begin? Our season begins typically end of June, and lasts till end of August. How many people can you take on each tour? We have two Zodiac boats that operate each tour hour. Our biggest one of which can hold 12 and our medium boat that can hold 7. Do you only see Humpback whales? 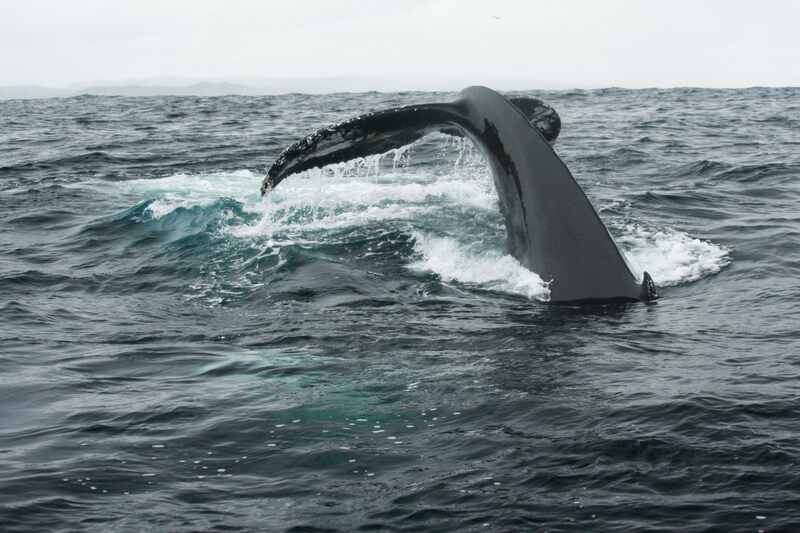 We see a variety of whales around the southern shore. Some of which includes humpback, minke, blue, fin, and the occasional orcas and dolphins. Do you go out in bad weather? We do depend on weather for whether or not we are able to get out. If it is raining or too foggy we will wait till it clears before venturing out. Ecotours will always inform customers that day if we will be proceeding to go out. We want the best experience for our adventurers. We provide everybody, even children with very photogenic orange full body floater suits. During the warmer days we recommend shorts and tshirts as these suits will keep you quite warm. For colder days we recommend long pants and a long shirt, gloves can be provided on these chillier days. The suits ensure that you stay dry and warm while out on the water with Ecotours. Is it okay to bring cameras? Absolutely! You will have lots of opportunities for pictures. We love when adventurers share their captures with us. 85$ per person. Children 5 and under are free. We offer Group and family discounts as well as private tours. For more information about pricing please call: (709) 330-8687.